Giant sequoias are the world's grandest trees and largest living things by volume. 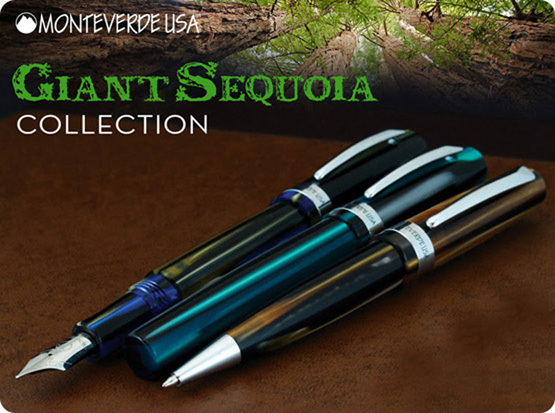 The Monteverde Giant Sequoia may not be the world's largest pen, but it will be appreciated by those who prefer a substantial writing instrument. 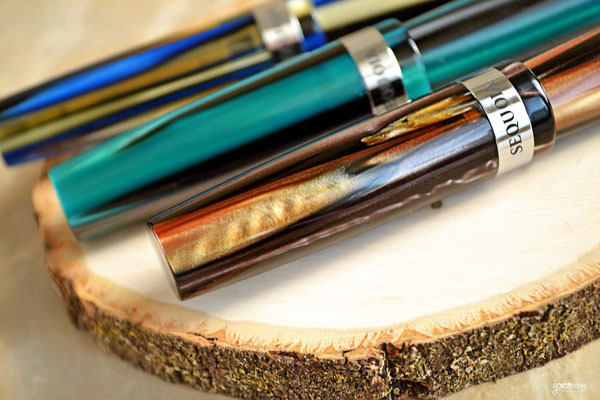 The solid resin barrel's striped pattern in earthy tones reminds us of the massive trunks that greet visitors of Sequoia National Park, but this pen doesn't want to sit still! 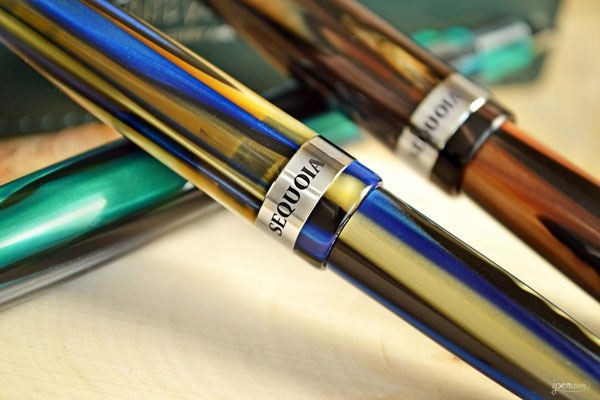 Ergonomically designed, Sequoia feels poised and balanced in the hand and begs to be used daily. 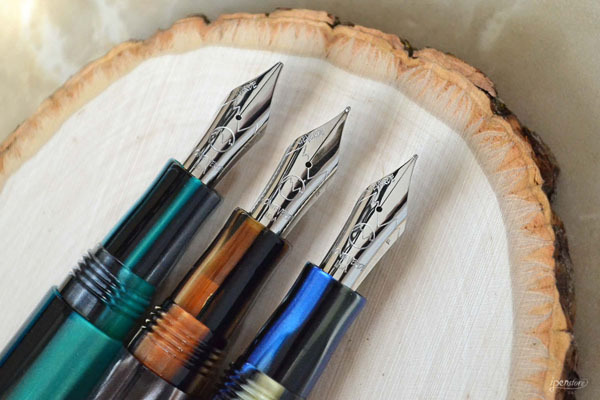 The fountain pen fills via standard cartridge/converter (both included) and the large stainless steel nib is available in Fine, Medium, Broad or 1.1mm Stub point sizes. The matching twist action ballpoint tapers elegantly to fit perfectly in the hand. 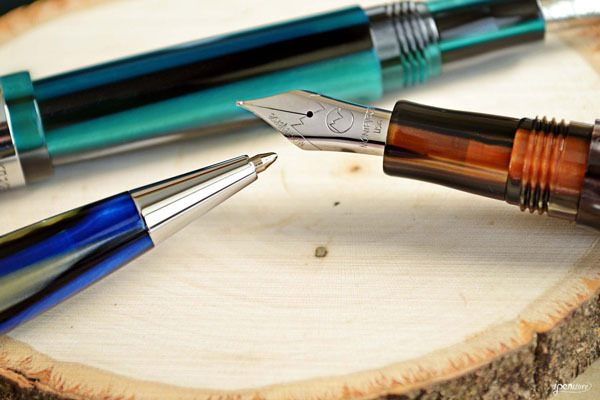 The ballpoint fills with standard Parker-style refills, so you can use a standard ballpoint refill or convert your pen to a gel writer with a Monteverde gel ink refill for Parker-style pens. Polished chrome accents on Sequoia are durable and scratch resistant and decidedly minimalist on this design, letting the beauty of the resin show through.